The Perth Scorchers are still a chance of avoiding the wooden spoon after beating the Melbourne Stars at Optus Stadium on Sunday night. Retiring veteran Michael Klinger regained his batting crown as the Perth Scorchers beat the Melbourne Stars by 27 runs at Optus Stadium on Sunday. Set 183 for victory, the Stars were restricted to 9-155 despite the best efforts of Glenn Maxwell (61 off 40 balls) and Marcus Stoinis (49 off 40). The result was a blow to the Stars' finals hopes, leaving them at 6-6 and still needing to win one more match to secure a top-four berth. The Scorchers (4-9) are a chance of avoiding the wooden spoon if they can beat the Strikers in their final match in Adelaide on Saturday. The Stars looked to be on track for victory, needing 66 off 31 balls with both Maxwell and Stoinis firing at the crease. But their dismissal within the space of three balls turned the match on its head, with the Scorchers able to restrict the Stars from that point. Nick Hobson took a good diving catch to dismiss Maxwell. 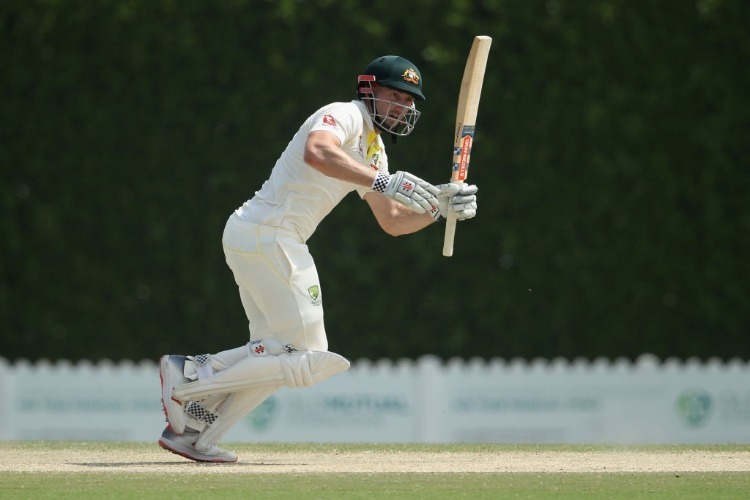 And Stoinis banged his bat on his pads several times in anger after driving a catch straight to AJ Tye at mid-wicket off the bowling of Mitch Marsh. Klinger was handed a recall to replace Shaun Marsh (hamstring) at the top of the order, and posted 30 off 31 balls to move back ahead of Chris Lynn on the all-time BBL runs list. Lynn scored a duck for the Brisbane Heat earlier in the day to stay on 1945 runs, with Klinger moving to 1947. "Lynny is going to play for another five-plus years and go way ahead anyway. I'm not too fussed about it," Klinger said with a laugh about regaining the record. Ashton Turner (69 off 42 balls) and Cameron Bancroft (44no off 27) produced important knocks to lift the Scorchers to 3-182 - their highest score of the season. It was in stark contrast to their previous home match, when the Scorchers were skittled for 79 by the Melbourne Renegades. Klinger, who has announced that he will retire from the Scorchers at the end of the season, was emotional during and after his Perth farewell. "It was great to get a win, and the boys carrying me off at the end was pretty special," Klinger said. "And the round of applause when I got out was something I will remember forever." But after saying goodbye to his Perth fans, Klinger wants to play against the Strikers in Adelaide in the Scorchers' final game of the season. Marsh isn't expected to be risked for that match, especially given he will be needed for Australia's upcoming ODI tour of India. "Hopefully I will get another run," Klinger said.